A two-vehicle accident occurred on Truesdell Street at Bernice Street in Wilmington around 5 p.m. Sunday. 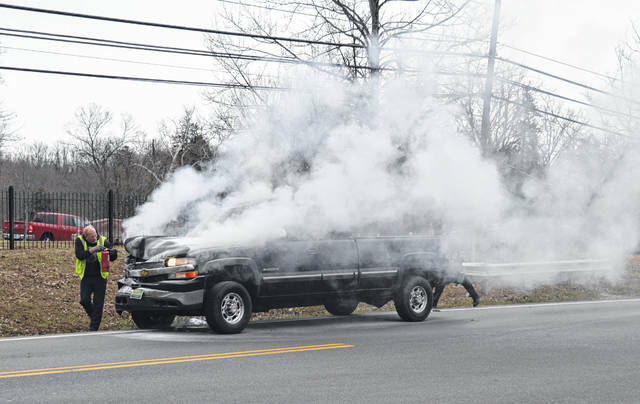 However, as the clearing of the scene was in its final stages and the pickup truck involved was being loaded onto a tow truck, the pickup truck burst into flames. 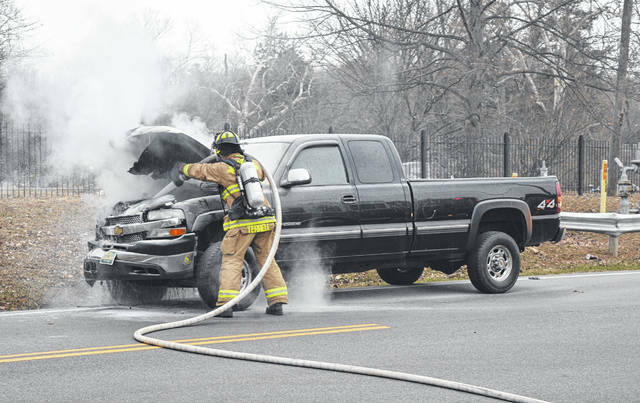 A Wilmington police officer and the two truck driver used fire extinguishers to quell much of of the fire under the hood and underneath the truck and the fire department quickly arrived to fully extinguish it. No other information is available on the accident at this time.